If you have some WMV files and want to have a video converter to convert WMV to MP4 to get them work on your iPhone/iPod/iPad, or play on your PSP MP4 player. WinAVI All-In-One Converter can make you achieve this dream. This video converter is not only a WMV to MP4 converter, but also a video converter that can convert most popular formats to play back on the popular players with high quality and super fast conversion speed. Now, how to convert WMV to MP4 files, in this below guide we will show a quick solution around this issue with WinAVI All-In-One Video Converter. 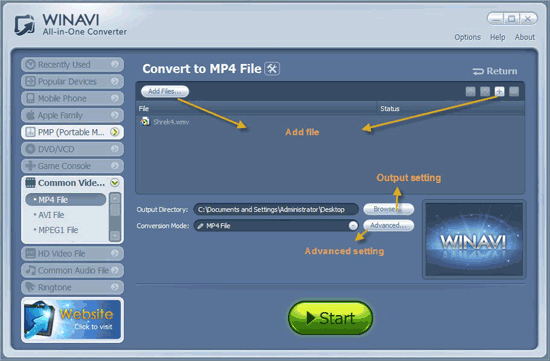 Step1: Free download the WMV to MP4 Converter – WinAVi All-In-One Converter. Install and launch it. Click button to add WMV files to the program, or simply drag them in. 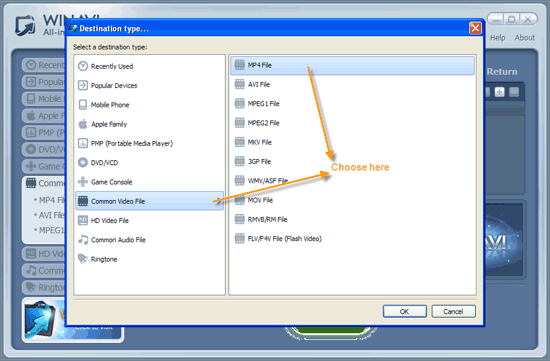 Then choose "Common Vido File" on the pop-up window and select "MP4". 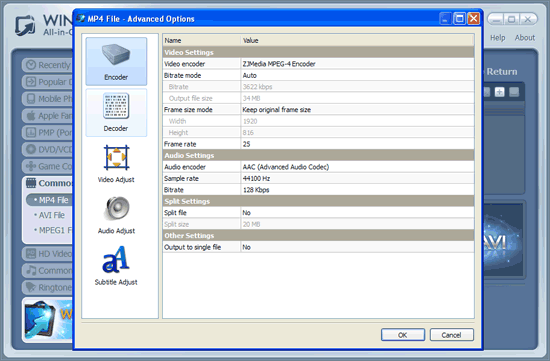 Click to customize output video audio options like resolution, subtitle, etc. Step4: Start to Convert WMV to MP4. Click to start WMV to MP4 Video conversion. 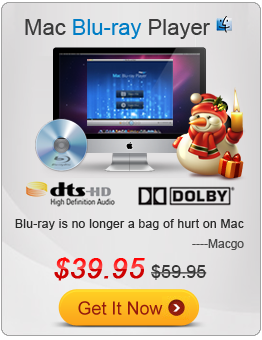 Now you can enjoy your favorite WMV Video movies any MP4 players!